SIGCOMM is ACM's professional forum for discussing communications and computer networks. Awards: the SIGCOMM Award, the Test of Time Award, the Rising Star Award, the Best Paper and Best Student Paper Awards, and the Doctoral Dissertation Award. If you are a computer networking professional, please consider joining ACM SIGCOMM: Join online here. Please contact the SIGCOMM 2018 Workshop co-chairs, Xiaoming Fu and K. K. Ramakrishnan at workshopchairs18@sigcomm.org with any questions. Nomination for the Doctoral Dissertation Award are due and must be received by November 30 by the Award Chair, Dina Papagiannaki (dpapagia@google.com). Nominations are limited to one doctoral dissertation per department. Nominated dissertations must have been successfully defended by the candidate, and the final version of a nominated dissertation must have been accepted by the candidate's academic unit. An English-language version of the dissertation must be submitted with the nomination. A dissertation can be nominated for both the SIGCOMM Doctoral Dissertation Award and the ACM Doctoral Dissertation Award. Marinho Barcellos joins as the newly appointed Director of Diversity and Outreach, a new position announced during the Business Meeting/Community Feedback session at SIGCOMM 2017. Marinho was General co-Chair of SIGCOMM 2016 with Jon Crowcroft, and did a fantastic job in, if you recall, difficult circumstances. In his new position, he will bring focus to our initiatives aimed at making the SIG more diverse and continue and expand the many initiatives that had been started in that area. This statement is intended to offer additional information and clarifications regarding SIGCOMM's (and ACM's) position and actions when it comes to instances of discrimination or harassment. First and foremost we wish to reaffirm the SIG's commitment to ensuring that everyone in our community feels welcome and able to attend our events without fear of being subjected to unwanted solicitations of any kind. In instances when such misconduct occurs, we are committed to bringing all available measures to bear. At the initiative of the previous EC and of members of our community, the SIG had put in place a very explicit policy against harassment and discrimination and requested that it be publicly highlighted at all our conferences. This policy has now been replaced by a revised ACM policy that supersedes all individual SIG policies and is equally explicit in leaving no doubt that any instance of sexual harassment or discrimination will not be tolerated. The new ACM policy offers explicit guidelines for handling and reporting such issues, and we will continue to require that those be publicly advertised at all our conferences. The investigation of any reported violation and the enforcement of the applicable penalties is now also handled by ACM, which should ensure that consistent penalties are applied as warranted. As was the case when the handling of penalties was internal to the SIG, the disclosure of those penalties remains a challenge, as there are obviously legal implications associated with any public or semi-public disclosure. Nevertheless , we understand the need for some form of institutional memory to at the very least ensure that individuals found violating ACM policy are excluded from SIG activities in a manner consistent with their penalties. We will work with ACM to develop appropriate mechanisms so that individuals with a need to know are made aware of those penalties, and therefore in a position to make informed decisions. Last but not least, we wanted to highlight initiatives which hopefully reinforce the SIG's focus on creating an environment that is welcoming to all. As announced in the previous section, the SIG has added a new position of director for diversity and outreach on the EC. The position is intended to help us develop new initiatives for making our SIG more diverse, and equally important ensuring that we respect and nurture this diversity across all our events. We are also exploring the possibility of creating a position of SIG's ombudsperson as yet another resource that individuals can turn to in addition to the usual channels; one that may be less intimidating for anyone with a potential complaint. Finally, there are several other initiatives taking place at the ACM level, in particular the new Code 2018 project, which seeks to update the ACM Code of Ethics and Professional Conduct that had been first adopted back in 1992. It is our hope that even if much progress still remains to be made, those many efforts will contribute to, if not eliminating instances of violations, at least make them rare and empower anyone who find themselves in such a situation. If you have suggestions for other initiatives that could help us move forward in that direction, please let us know by emailing any member of the EC. Computer Communication Review (CCR) continues to promote reproducible research by encouraging the submission of papers providing artifacts (software, datasets, . . . ). As in the previous issue, all the accepted technical papers have released their artifacts. These artifacts will help other researchers to improve the results published in CCR by easily comparing their new ideas with those described in the related work. As announced in the last issue, the CCR Online website, https://ccronline. sigcomm.org has been enhanced with a Community Comments section to encourage interactions between readers and authors. Several submitted articles have been posted in this section and I encourage you to look at them and provide constructive comments to their authors. Providing open and constructive comments is a nice way to be involved in the SIGCOMM community. Three technical papers were accepted from the open call. In Measuring YouTube Content Delivery over IPv6 Vaibhav Bajpai et al. report on large scale measurements that compared the performance of Youtube over IPv4 and IPv6. As IPv6 gets widely deployed, it is interesting to study whether the two network stacks provide similar performance. They release both the measurement software and the collected dataset. In Inside the Walled Garden: Deconstructing Facebook’s Free Basics Program, Rijurekha Sen et al. study the operation of Facebook’s recent Free Basics program in Pakistan and South Africa. Their software and measurement dataset will probably serve as a baseline for researchers who will explore the evolution of similar programs in the future. These artifacts have been significantly improved by the authors based on interactions with reviewers. In Dissecting Last-mile Latency Characteristics Vaibhav Bajpai et al. use measurements on two different platforms to analyse the factors that influence the performance of access networks. They release both measurement scripts and datasets. Two editorial papers report on recent workshops. In The 9th Workshop on Active Internet Measurements (AIMS-9) Report, kc Claffy and David Clark summarise the AIMS-9 workshop that was held in March 2017 at CAIDA. In Report on Networking and Programming Languages 2017, Nikolaj Bjorner et al. summarise the SIGCOMM’17 NetPL workshop. Halifax is hosting the 12th annual edition of the WUWNet ’17 conference at the Prince George Hotel, this coming November 6-8. WUWNet is a premier international conference on underwater networking and systems (see http://wuwnet.acm.org/2017/).) In the program, internationally renowned keynote speakers and panel discussions will be organized. We are expecting 70 scientists and grad students in the field of underwater sensing, communications, signal processing, networking, and other fields related to ocean technology. The crowd will be diverse, from Canada, North America, Europe and Asia. Exhibition booths will be set up in the coffee hall, posters and demos showcasing students’ accomplishments will be available. N2Women (http://n2women.comsoc.org/) has launched in the past two years an annual list “N2Women: Stars in Computer Networking and Communications”, previously known as “10 women in networking/communications whom you should KNOW”. This year they are continuing the tradition by opening the call for their 3rd list. Nominations (as many as you can think of) can be submitted at https://goo.gl/forms/kX0iNgr99Fkokvmo1. The deadline for nominations is November 19, 2017. The ACM SIGCOMM 2017 conference was held at the newly opened UCLA Luskin Conference Center from August 21-25, 2017. The whole week 'festival' of conference, workshops, tutorials, topic preview and mentoring sessions and other events drew close to 800 attendees. The workshop and conference proceedings were streamed in real-time throughout the 5 days for free access to remote participants, much to the appreciation of the worldwide networking community. The recorded video will also go online in the near future. The conference featured Keynotes from Prof. Raj Jain (Sigcomm Lifetime Achievement Award) and Prof. Jennifer Rexford (Athena Lecture Award). The conference closing was graced by remarks by Prof. Leonard Kleinrock (https://en.wikipedia.org/wiki/Leonard_Kleinrock, whose group sent the very first Internet packet back in Sept. 1969), challenging the new generation of networking researchers to invent the future. During the opening ceremony, the SIG and the conference also recognized Chris Edmondson-Yurkanan, a long-time SIG member and indefatigable volunteer whose spirit, enthusiasm, and many contributions over the years have had an enormously positive impact. Chris recently passed away and was recognized by a special Service Recognition Award that her husband, Christopher Yurkanan, was able to accept on her behalf. Chris' contributions will also be remembered by a travel grant named in her honor, and awarded each year to a woman, preferably but not necessarily a student, whose interest in and dedication to the SIG best exemplify Chris' spirit. 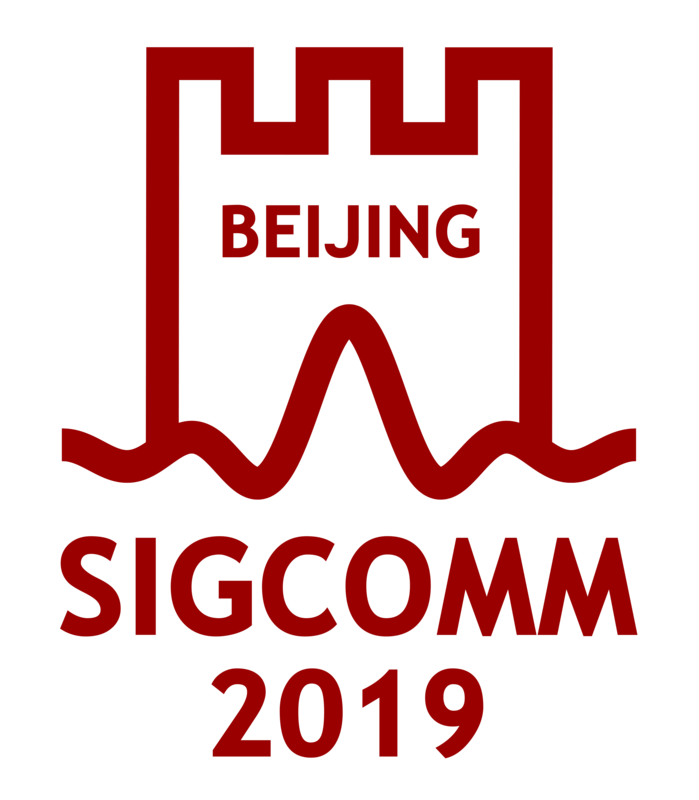 The grant will support travel to the SIGCOMM conference, and its awarding will be overseen by the N2Women group in coordination with the SIG. The grant is intended to support travel to the SIGCOMM conference. Candidates will be drawn from women applying for travel grants to the SIGCOMM conference, but an additional statement of purpose may be requested. The community feedback session featured a presentation by Roch Guerin (SIGCOMM Chair). There were extensive discussions on various aspects related to how to continue improving the SIG and the SIGCOMM conference. A survey will be sent out as a follow-up to those discussions to get input from the community on possible initiatives. The ACM IMC Steering Committee (IMC SC) is soliciting site proposals for the 2018 conference. The last issue of CCR was published in July. You can find it at https://ccronline.sigcomm.org. CCR Online now also includes a Community Feedback section ( https://ccronline.sigcomm.org/uncategorized/community-feedback/ ). Authors who submit papers can opt to announce their papers in this section to receive feedback from the SIGCOMM community. This is also an opportunity to read papers that are currently being reviewed.